I returned home from LA and the Big Photo Show and a full day of jet lag only to be off tomorrow morning to the Henry’s Exposure Show in Toronto. Whew, what a week! Henry’s is a Canadian base retailer with over 20 stores in the Eastern half of the country. I’m proud go be honored to speak at the Exposure show, which for those of you on the East Coast of the US would compare to the Photoplus Expo in NYC. This year all three presentations are on small flash photography, and I’m looking forward to it. Here are a few proofs from The Big Photo Show last weekend in LA. Many, many thanks to everyone at Expoimaging, Brandi Carlos the HMUA, and of course Elizabeth Michelle for being a wonderful model for the two days. This event turned into the gel event, with a great deal of shots taken with Rogue Gels to demonstrate the versatility of the kit and how you can change the look of an image with added color. Enjoy and till next time, happy shooting! Oh, maybe I’ll see you in Toronto, Eh! Tomorrow morning I head to The Big Photo Show in Los Angeles. If you are in the neighborhood or know anyone there, tell them about this huge photography event. I’ll be there with Expoimaging teaching OCF techniques with Rogue Flashbenders. I recently ran a fitness workshop using only Rogue Flashbenders and speed lights. This look was the basic 3 light high key setup. I set my key to Manual Mode at 1/2 power and my backlights to Manual Mode at 1/4 power. 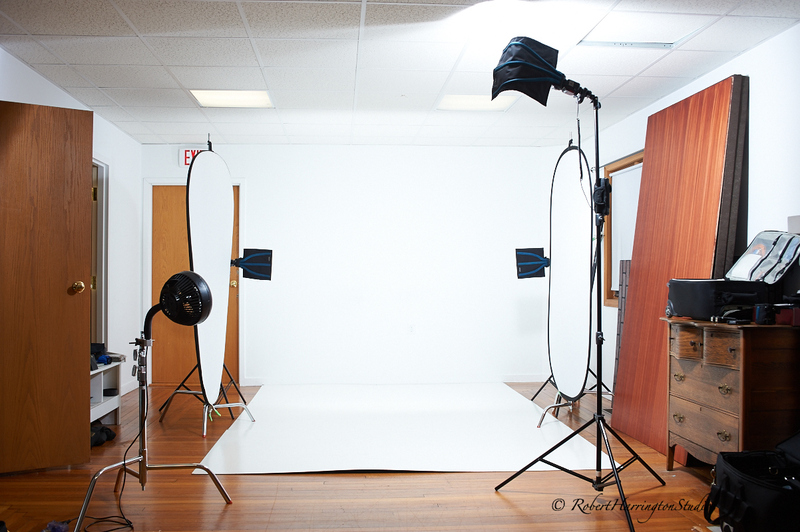 The large flash benders on the background are used as flags to keep the light from coming back into the camera lens. Sorry for the delay in posting but I’ve been busy. I’ve been commissioned to photo document the Historic Wall St Theater in Norwalk, CT. Part of the project included 360 degree panoramic views of the interior from the stage, main seating area, and the balcony. I shoot my panos with the Nikon 14-24 lens and a Nodal Ninja Panoramic Head. Then I stitch the pano together using Panorama Factory for 360 views a Virtual Tours. Unfortunately, WordPress does not host the Virtual Tour, which all of the below images have been turned into. When shooting panoramas, it is important to use a panoramic head so all the intersecting and converging lines match during the stitch and you avoid image Parallax, resulting in a poor stitch. Each Panorama is bracketed with 7 frames, resulting in 84 images. The images are then merged in Photomatix, brought into Photoshop for enhancement, and then stitched in Panorama Factory. At this point the panos can be turned into the Virtual Tour, like you see on many hotel websites, or set to hi res jpegs for custom printing. On a second note, I’m building a youtube channel later this year, but now I’ve created a new page that has links to my current BH Photo Event Space Videos, including 40’s Glamour, Off Camera Flash, and Strobe lighting. Use this link, Videos, or the link on the top of the page. As always, till next time, happy shooting! !